Comment: Move in so no furniture. We have a baby and this carpet is super used and musky smelling, so we need someone with a strong truck mounted machine who can pull out all the stops to deodorize and deep clean. Not as concerned about stains since we will eventually be pulling carpet out. 3 bedrooms, hall, stairs, living and dining rooms. 1500sqft. Needs done on 5/3 after 3:15 pm or on 5/4. Thank you! Comment: Two average-sized, fabric sectionals in need of cleaning. Comment: Clean carpet in our newly purchased home prior to moving in. Two sets of stairs, hallway, office, family room and 5 bedrooms. Comment: not been cleaned in years. may want some furniture moved. 4 'rooms' on 1st level, 3 bedrooms on 2nd level, 3rd level bedroom. Comment: Family room with Smart Strand carpeting plus 2 bedrooms. Comment: We have a dog who likes to rub his head along the edge of the sofa and comfortable chairs. We are having a party and must have these two chairs and sofa upholstry cleaned. Comment: living room rug is not wall to wall. Dining room is a separate rug. Bedroom carpet is wall to wall but cleaning would not need to be under bed. Media Carpet Cleaning Services are rated 4.80 out of 5 based on 143 reviews of 14 pros. 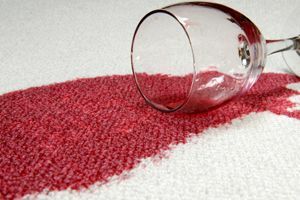 Not Looking for Carpet & Upholstery Cleaning Contractors in Media, PA?